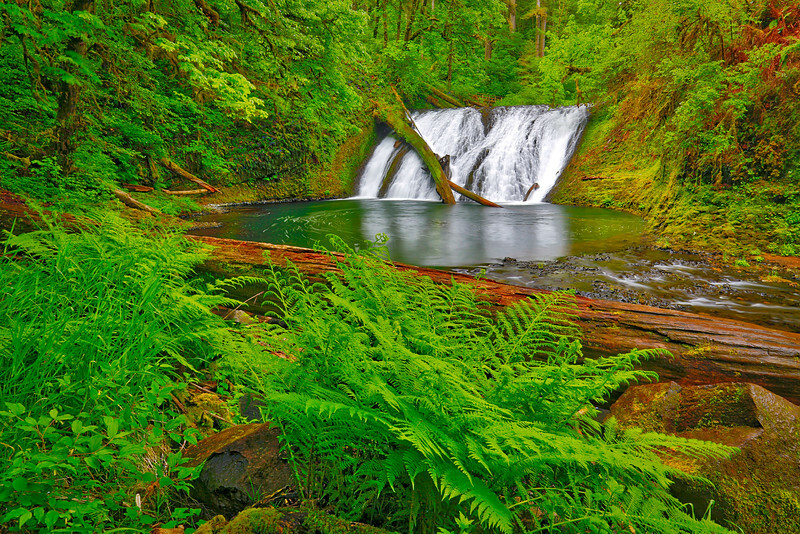 This 30 ft waterfall was found at Silver Falls State Park. Outstanding capture...so difficult to keep brightly lit waterfalls from being blown out, but you have done brilliantly! Beautiful shot and I love all the green!